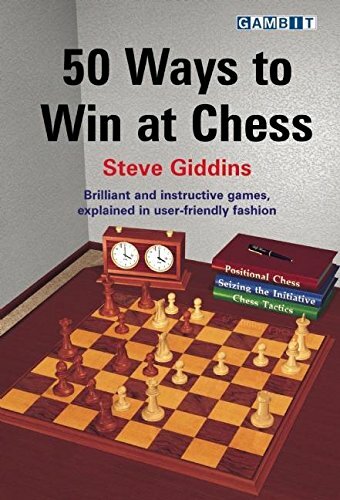 In a sequel to the hugely successful 50 Essential Chess Lessons, Steve Giddins now presents 50 games that each illustrate an important winning method. This engaging and highly readable book is a painless way to build your personal arsenal of techniques and ideas. The games are mostly from the modern era, but with a few classic examples chosen to show key themes in as clear a way as possible. In these cases, the defender may have never seen the critical idea before, and fails to react appropriately. We then move on to more complex examples where the attacker needs to overcome stiffer resistance. Giddins repeatedly shows that despite the tactical complexity of many of these battles, the fundamental concepts can be grasped by all chess-players, and will help them navigate through apparently intimidating terrain.